Give a gift from the heart this year and bake up a batch of these Gluten Free Danish Butter Cookies. They’re easy to make and so tasty! There was just something about those cookies in the blue tin that seemed really special. They were really tasty, I’ll give him that. But we can do better and now we can make it gluten free! 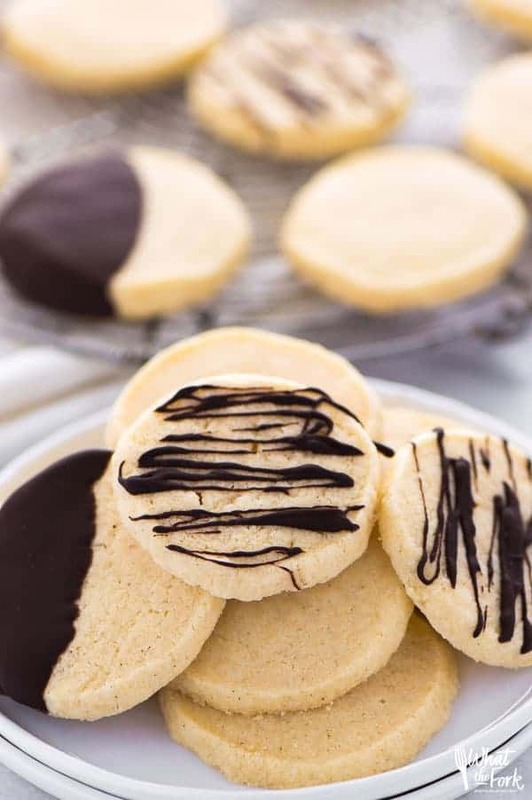 These cookies are incredibly easy to make – mix, shape, chill, slice, and bake! Slice and bake cookies are so fun to make. Nothing fancy and you don’t have to wash a million cookie cutters with teeny-tiny nooks and crannies when you’re done. 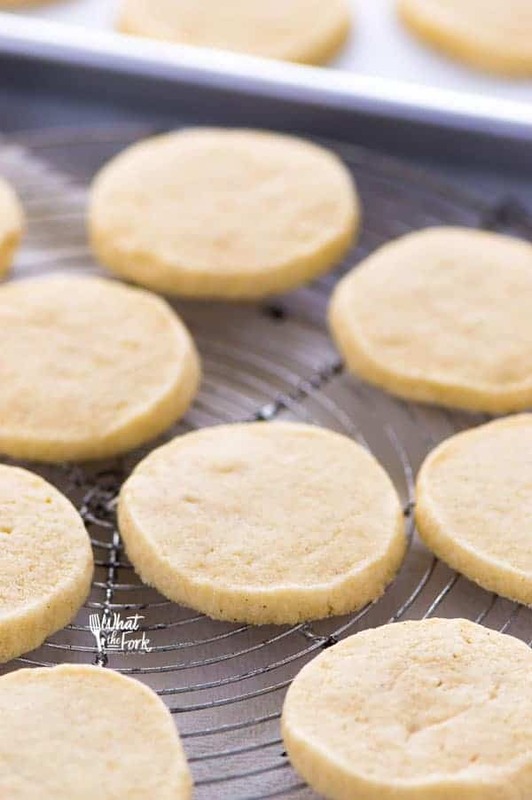 These are basically shortbread cookies with your typical butter, sugar, and flour. Danish butter cookies seem to have an egg or egg yolks added and sometimes ground almonds. I chose to keep mine nut free for simplicity but added a bit of almond extract for the flavor (which is totally optional). 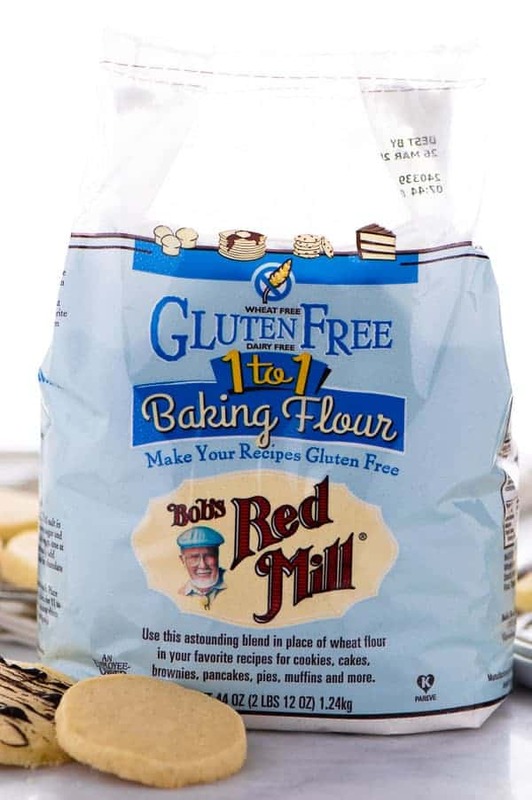 For flour, I used my trusty ready-made blend: Bob’s Red Mill 1:1 Gluten Free Baking Flour. I LOVE it for cookies and use it for my gluten free soft frosted sugar cookies and Nutmeg Log Cookies too. It’s definitely a high-quality gluten free flour blend. I also use it to make my Gluten Free Lemon Squares (which have a buttery shortbread crust) and my Oatmeal Sandwich Cookies. You can even use it in my Bakery Style Gluten Free Chocolate Chip Cookies. Can you tell I love this flour for cookies?! It works like a dream and you don’t have to mess around with finding the right amount of xanthan gum for the recipe. If you haven’t tried it yet, I know you’ll love it. It’s so easy to find too, it’s readily available at most grocery stores. I’ll be making these cookie again for Christmas since I always make cookies and treats a big part of our Christmas gifts to others. Baking for others is such a great thing to do, which is one of the big reasons why I even started this blog in the first place. I could share with even MORE people! Sometimes it’s the little things like sharing recipes and sharing food from the heart that mean more than the big flashy gifts. I’d love to hear what you’re baking from the heart and gifting this year! And if you’re looking for some baking inspiration, check out my roundup of Gluten Free Christmas Cookies – there’s something for everyone here. Enjoy! Give a gift from the heart this year and bake up a batch of these Gluten Free Danish Butter Cookies. They're easy to make and so tasty! In medium bowl, whisk together the gluten free flour and salt. Set aside. Add the butter and granulated sugar to the bowl of a stand mixer. 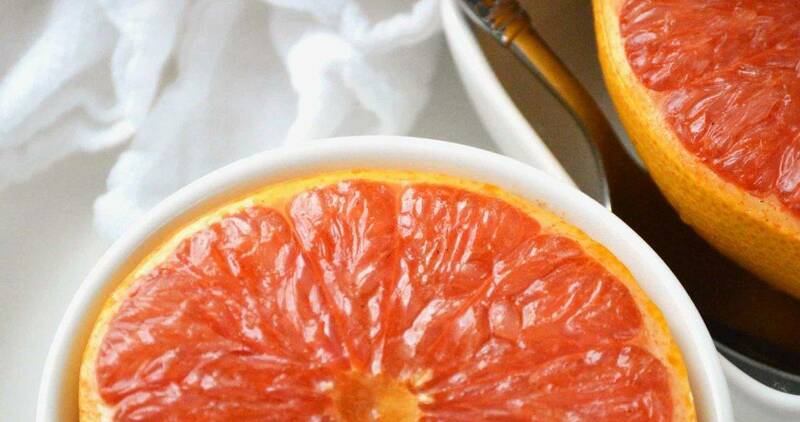 Cream together until light and fluffy. Add the egg yolks one at a time, beating well after each addition. Mix in the vanilla extract and almond extract (if using). 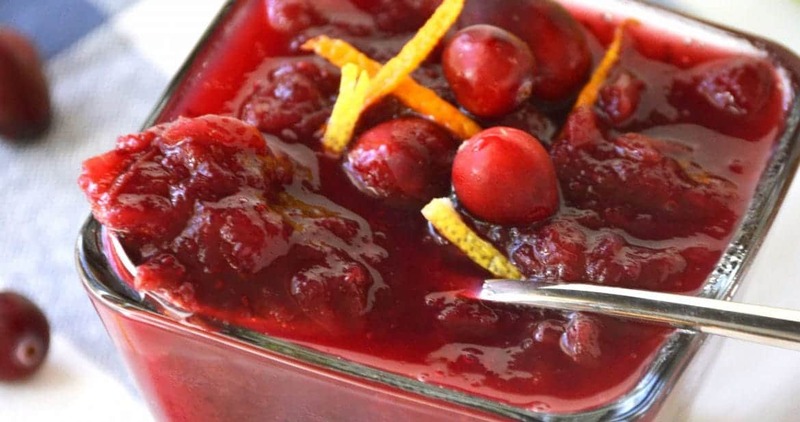 Add the dry ingredients and mix well until combined, scraping down the bowl as necessary. Place the dough on a large piece of plastic wrap (about 18 inches long) and roll into a log. Dough log should be about 14 inches long and 1 1/2 inches wide. Wrap the dough in the plastic wrap and chill for 4-6 hours (or overnight) until firm. Preheat oven to 350 degrees. Line a baking sheet with parchment paper or a silicon baking mat. Use a sharp knife to slice the cookies - you should get about 48. Use your hands to form back into a circle if necessary. Bake the cookies, 18 at a time on the baking sheet and bake in batches. 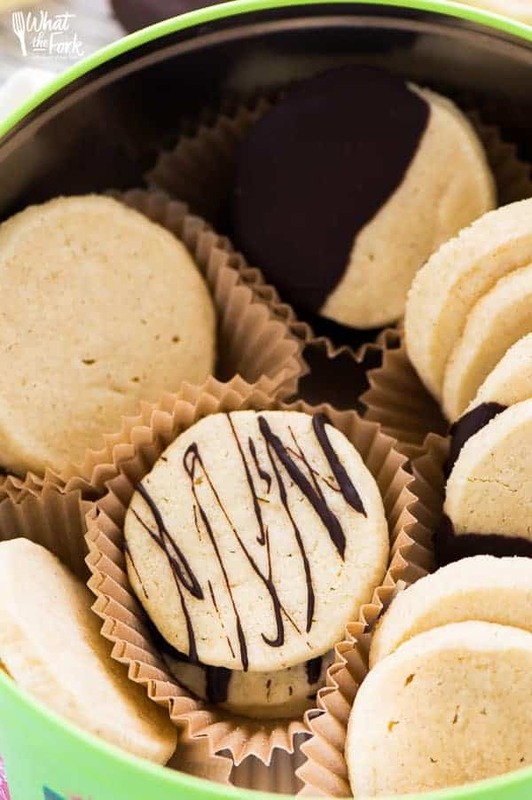 Keep cookies refrigerated or frozen until ready to bake. Bake at for 8-12 minutes until done - cookies will no longer be shiny and will be ever so slightly golden on the edges. Do not brown! Cool on the baking sheet for 5 minutes before cooling compltely on a wire rack. Repeat baking process for the remainder of the cookies. When the cookies are cooled, melt the chocolate chips and coconut oil at 50% power for 1 minute. Stir really well then melt at 50% power in 20 second intervals until melted - stirring after each round of heating. 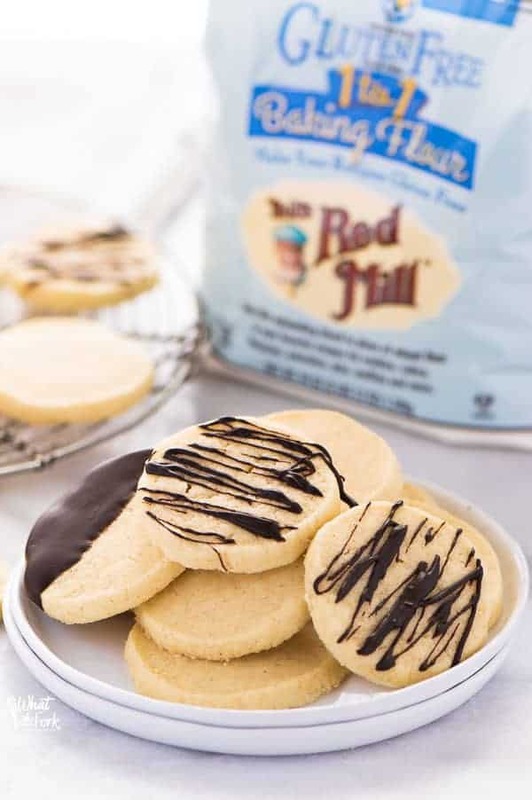 Dip or drizzle cookies with melted chocolate and place on a wax paper lined baking sheet. Cool until the chocolate is set. Store in an airtight container up to 3 days or freeze. Use the plastic wrap to help keep it in a nice even log shape when rolling it. 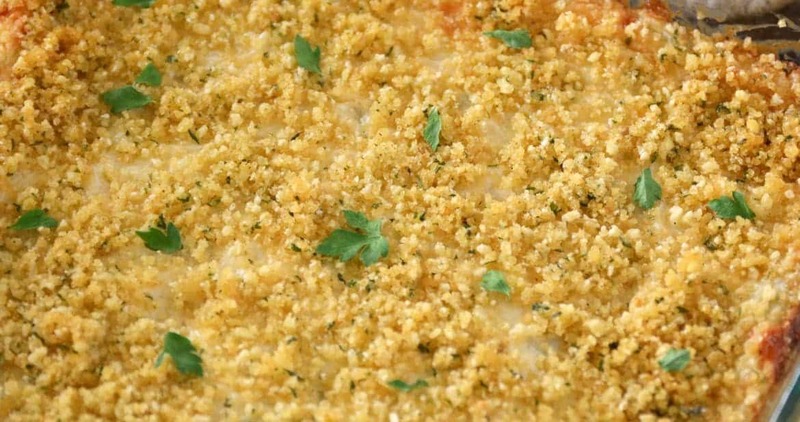 Chill on a baking sheet for a nice flat surface. Once the dough is thoroughly chilled, roll it again to reshape into a round log. Roll slightly as you are slicing it so you don't get flat sides as you're cutting. 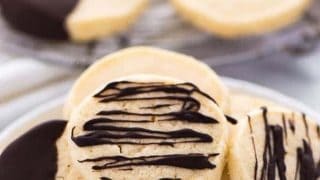 These cookies look delicious and I love how they are gluten free! Really love having some tasty options for my GF friends! My grandma would love these! This is my favorite brand of flour, and these cookies look absolutely delicious! I need to try this cookie! I love it! These cookies look absolutely amazing! 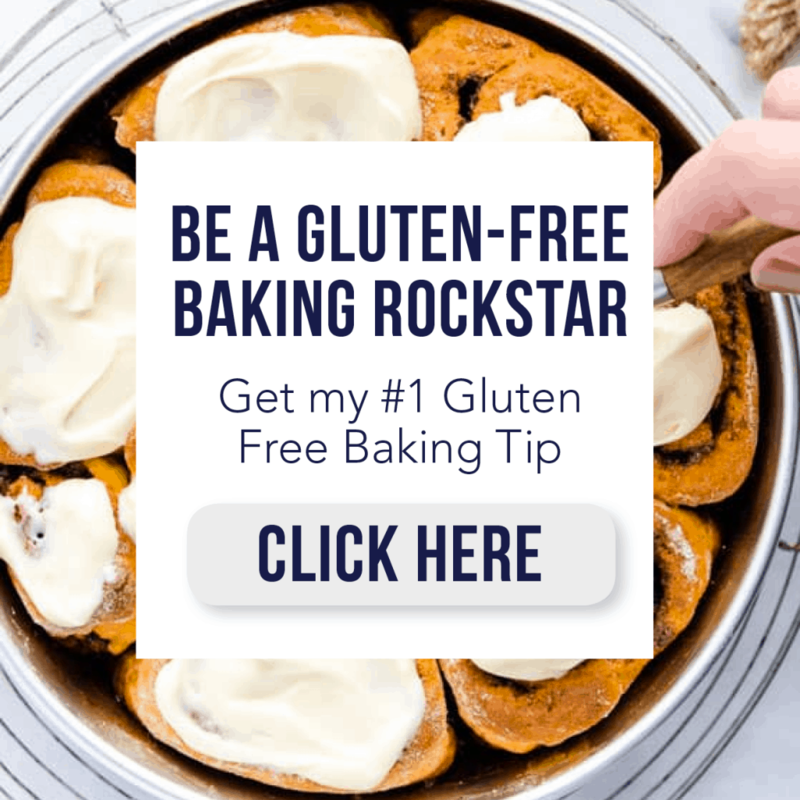 I love the idea of gluten free!